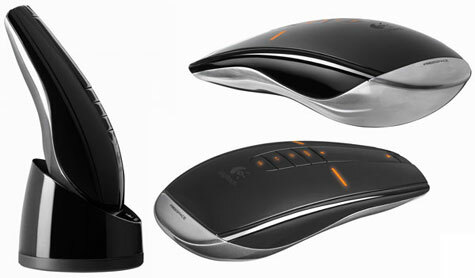 Apparently the latest drool worthy design gadget from Logitech is the MX Air Mouse.attempt to bridge the gap between mouse and remote control with a touch-sensitive scroll-panel (instead of a scroll wheel) and a dedicated pause/play and volume control. 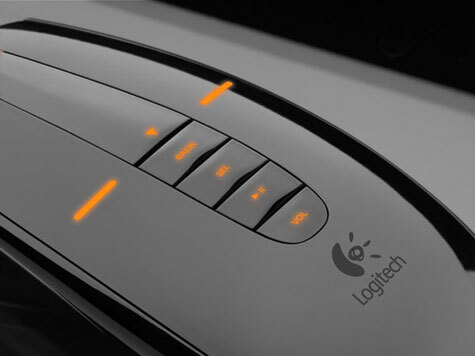 You can apparently push the volume button and then flick the mouse to t he left or right to increase and decrease volume! So gorgeous, dying to play with one! This RF goodie is set to retail around $150 in August.